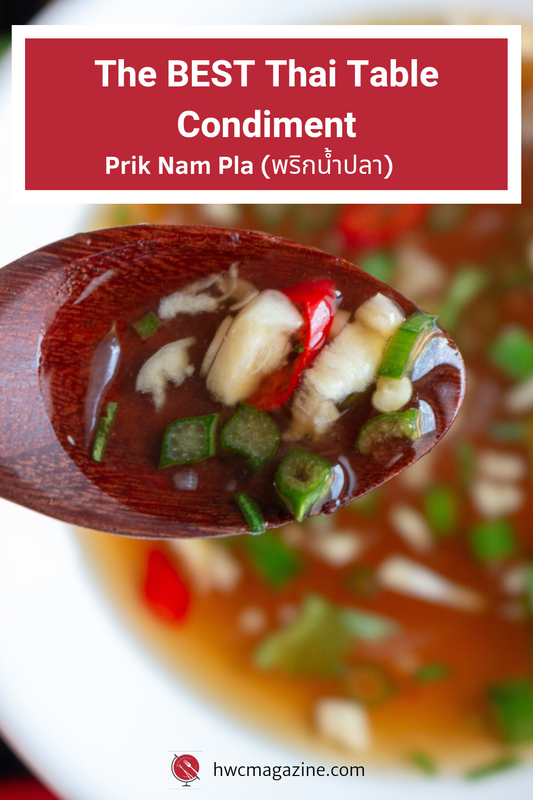 Prik Nam Pla (พริกน้ำปลา) is an incredible Thai Table Condiment sauce made with chilis, fish sauce and aromatics that we love slathering on everything from spring rolls to seafood and everything in between. “Prik” translates to chili in Thai. “Nam Pla” translates to Fish Sauce. These two ingredients are the main components of the sauce along with a few aromatics and citrus. Sometimes this sauce is also called Garlic and Chili Sauce or Naam Jim Aahaan Thaleh. You can call it whatever you want, we just call it DELICIOUS. 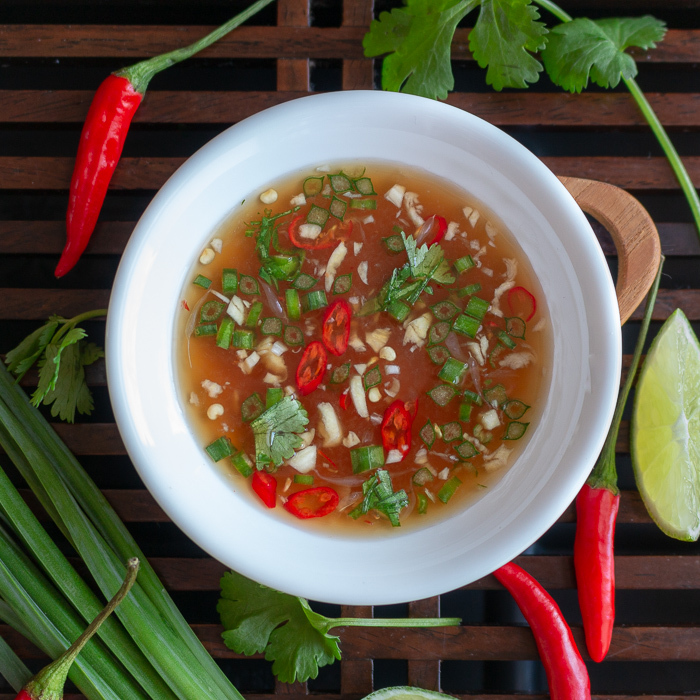 This incredible Thai Table Condiment is slightly sour, salty, spicy and sweet and a perfect addicting bite. Prik Nam Pla is a nice balanced sauce. The best part is you can adjust your levels of each ingredient to make it just the way you like it. If you like it spicier, you can add more chilis. To make it savory, you can add more fish sauce. If you like it sourer, you can add more fresh lime juice. 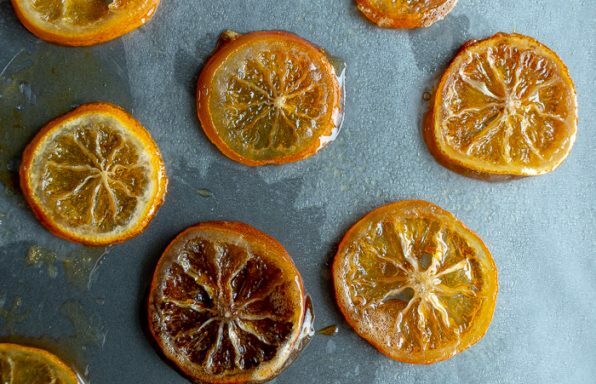 Sometimes, if you like it a little sweeter and you can add just a touch more sugar or sugar alternative. We are sorry to say but there really is not good substitute for fish sauce. If you need this recipe to be gluten-free the Thai Kitchen brand has a gluten-free version of their fish sauce. If you are vegan, we really do not know what to say. Soy sauce will not give you the profile you are looking for. 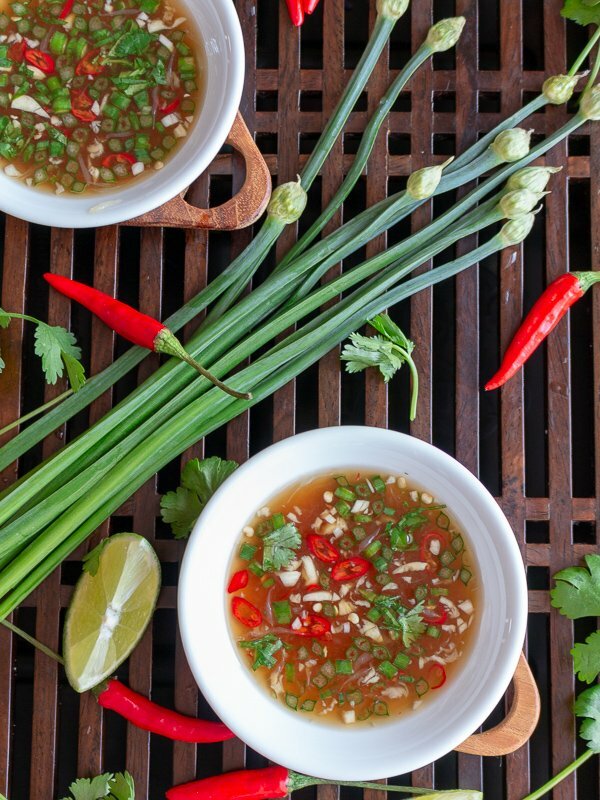 Now on to the chilis… Thai bird chilis are the chilis of choice for this Prik Nam Pla recipe. However, you can substitute any chilis you desire and add to the level of heat you enjoy. A little sweet is needed to balance the flavor profile. You can do this many different ways. Add a little pinch of brown sugar, palm sugar, coconut sugar or sugar alternative and taste test. You don’t need much but just a little tad to balance the flavor profile. You are going to want to slather this Prik Nam Pla SAUCE on everything! Have you ever been to Thailand? You will see this incredible Thai Table Condiment on every restaurant table just like you would have salt and pepper in the States or HP Sauce (House of Parliament Sauce) in the UK. 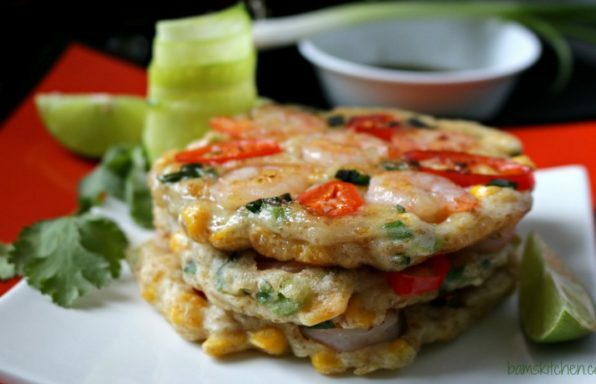 Whether you are eating fish, noodles, spring rolls, soup or even your eggs, it is delicious on every savory dish. Might not be so good on pancakes but you get the point. What do you serve Prik Nam Pla with? 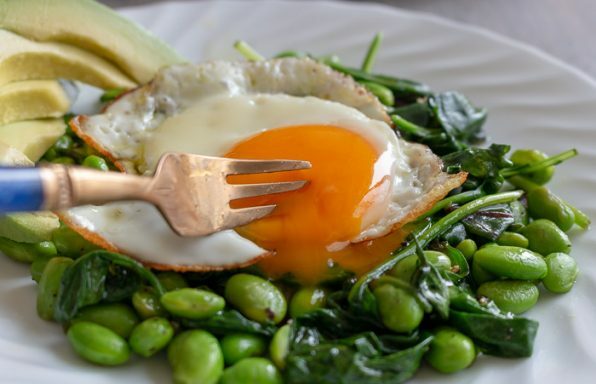 Our family and friends slather this delicious Thai Table Condiment over eggs, in soups and really anything that needs a little zip. Prik Nam Pla is also delicious with anything coming off the grill and rice dishes. 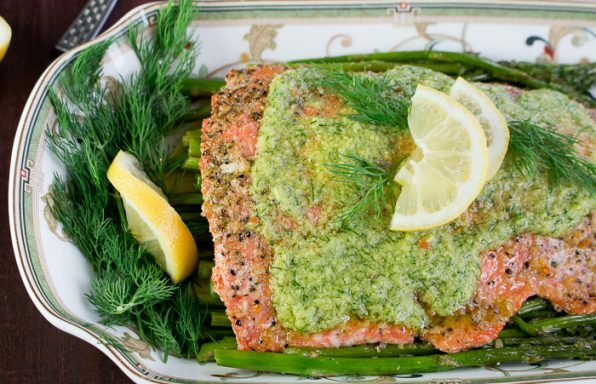 However, we are quite partial on putting this sauce over fish and seafood. We highly recommend this drizzling a few spoonful’s over our Thai Pomelo Crab Salad Avocados, Tropical Thai Swordfish, Thai Firecracker Shrimp Party Appetizer,Thai Grilled Chicken Tenderloins and anything else your little heart desires. How long will fresh chopped garlic keep in a sauce? The short answer is not long. You should use any sauce, condiment or dressing within 3 days of chopping the garlic. Do you know why this is important? You see garlic if chopped and at room temperature can grow Clostridium Botulism (YES, botulism) According to the USDA, “Peeled cloves may be submerged in undiluted (full Strength) wine or vinegar and stored in the refrigerator. Adding wine or vinegar to garlic provides an acidic environment (less than pH 4.6) so Clostridium Botulism cannot grow.” However, this recipe has only part lime juice and part fish sauce. Therefore, our suggestion is to be on the safe side. (OK the nurse will now step down off her soap box… LOL) Please keep your Prik Nam Pla refrigerated and consume within 3 days. It best fresh anyways. Do you like Thai food? If so, what is your favorite recipe? 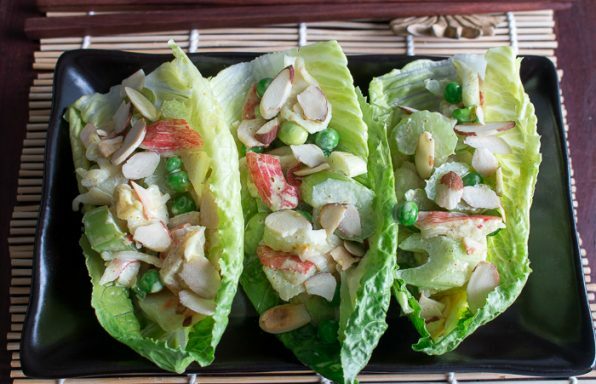 If you are looking for more inspiration, please check out our Thai Recipe Cuisine. 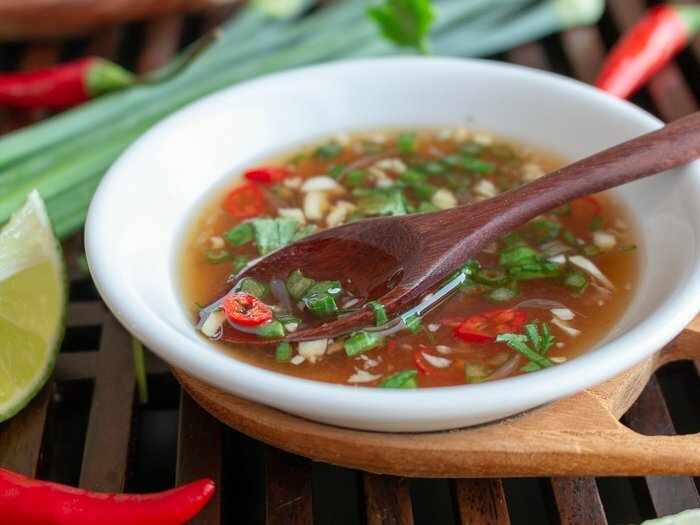 Prik Nam Pla (พริกน้ำปลา) is an incredible Thai Table Condiment made with chilis, fish sauce and aromatics for spring rolls, fish and everything in between. 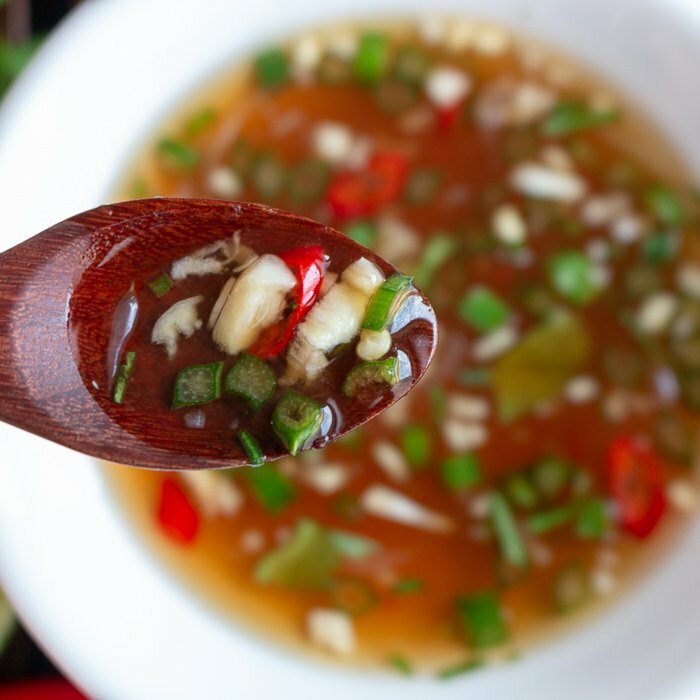 1Mix your minced garlic, Thai bird chilis, lime juice, fish sauce, sugar or sugar substitute like stevia and cilantro in a bowl. Taste test. Adjust for your desired level of spice by adding more chili, sour by adding more lime, salty by adding more fish sauce and sweet by adding more sugar or sugar alternative. 2Enjoy! 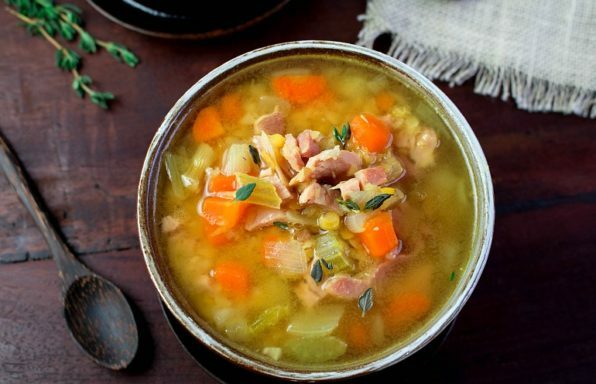 Refrigerate leftovers in a sealed container for up to 3 days.